Prescott Instruments is proud to have acquired its own unique patented technology; an automated belt system designed to convey rubber samples into a test chamber, ensuring that the material under test remains in contact with the dies and reduces slippage. In the modern industry the automation of machines is becoming more and more popular. In response, Prescott Instruments have designed two cost effective, innovative Automation Modules; each design has its own merits to suit the different needs of the customer. 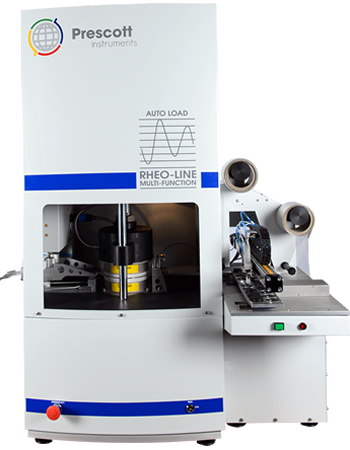 The two automation designs available are the Rheoline Auto-Load and the Rheoline Auto-Test which are both supported on our Standard Rheoline Multi-Function Rheometer and Rheoline Moving Die Rheometer. 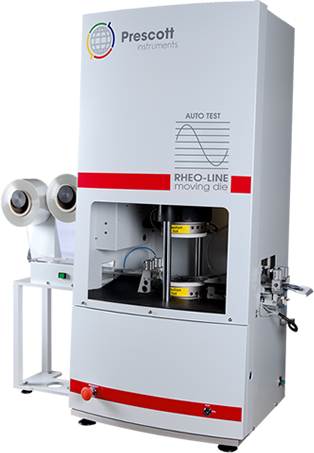 Our Rheoline Mini MDR Lite is also compatible with automation, fitted with the same Auto-Test patented belt system.